“Thanks for all the great info you share on the website. I found the Trane Ultra Efficiency XL20i A/C while researching heat pumps. I decided to go with the traditional A/C and furnace set up instead, but was impressed with what I read about the XL20i. I did talk with 2 other contractors to be able to compare air conditioner prices, and while the Trane was more expensive than the Goodman we looked at and slightly more than the Carrier, we decided to go with it because of its performance record and features. I think we’ll get a better bang for our buck with it. Up to 20.0 Seasonal Energy Efficiency Rating. 2 ClimaTuff compressors: 1 runs for maintaining indoor temperature; the second also runs on very hot days. Spine Fin Coil more effectively removes heat. Comfort-R humidity control with managed cycles. ComfortLink II connects the A/C and air handler/fan for optimal performance and indoor comfort. Multi-speed fan motor for quiet efficiency. Wired for Trane CleanEffects air purifying system to be added (which we’re considering). WeatherGuard top and fasteners protect components and are resistant to damage from sun and weather. Sizes: 2, 3, 4 and 5 ton cooling capacity. 12-year warranty on the compressor. 10-year warranty on the outdoor coil and other functioning parts. No doubt you will save on energy costs, Cecil. We’d enjoy hearing just how much you save. Getting the maximum energy cost savings requires more than just buying a high-efficiency unit. It is also important to have it professionally installed, adjusted and tested to ensure maximum performance. 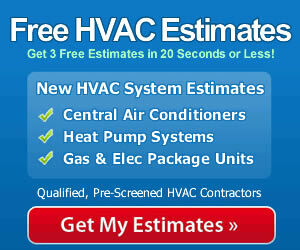 Improper installation can cause any A/C unit to underachieve. Hire a qualified contractor to do the work, one with a solid reputation for excellence, and you’ll have the greatest chance of enjoying the SEER and the longevity your unit is designed to deliver.